If you’ve heard the phrase “beyond a reasonable doubt” then you have a head start understanding the burden of proof concept. Proving an accused’s guilt beyond a reasonable doubt is the “burden of proof” a criminal prosecutor must carry in order to win his case and lock up the bad guy. In other words, the prosecutor has to put forth enough evidence that a jury really has no reasonable doubt that the accused is in fact guilty. Civil cases have a different standard of proof (no less demanding—just different). In a civil action, the plaintiff generally has to prove her case by a “preponderance of the evidence”, meaning that it is “more likely than not” that the defendant is liable for the plaintiff’s injuries. Let’s take the average personal injury claim as an example. 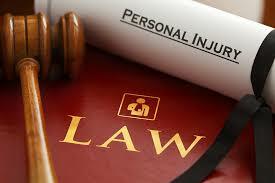 Most personal injury lawsuits are based on a claim that a person or business was negligent. “Negligence” is just a technical way of saying that the defendant chose to break an established safety rule that helps keep us safe (think speeding or drunk driving). I won’t explain in this post what each of these mean—just take it on faith that these are the components of any successful negligence claim and that the law requires they be proved by the appropriate standard of proof. As such, the plaintiff will have to prove that each element of her claim against the defendant “more likely than not” occurred. To the contrary, if she can’t prove each element “more likely than not” occurred, she loses. Simple as that. So, what does “more likely than not” really mean and how do you get your head around it? In truth, answering these two questions isn’t your job–It’s your lawyer’s. The personal injury lawyer that you have hired to handle your case (and take to trial if necessary) must not only understand the burden of proof and what it means for your facts and evidence but must also have the skill to communicate this knowledge and information to a jury–i.e. the ordinary citizens that will decide whether you win or lose. It’s nice for you to understand it, but you better make certain your lawyer gets it and can “walk the walk” when the time comes. If you or someone you know has been seriously injured because of another’s negligence, the trial lawyers at Sigmon Law, PLLC are here to help. We are serious lawyers that handle serious cases. Contact us today.